How Much Square Footage Do I Need? - Canterbury Homes Inc.
How much square footage you require will depend on the list of needs and wants in your home. During our first meeting with new clients, we do a “needs assessment” to find out which spaces are occupied the most and how many people will be using that space. Once your layout is confirmed, you will have a much better idea of how much space will be required. The layout will include all the rooms on your wish list and where they will be located in relation to each other. 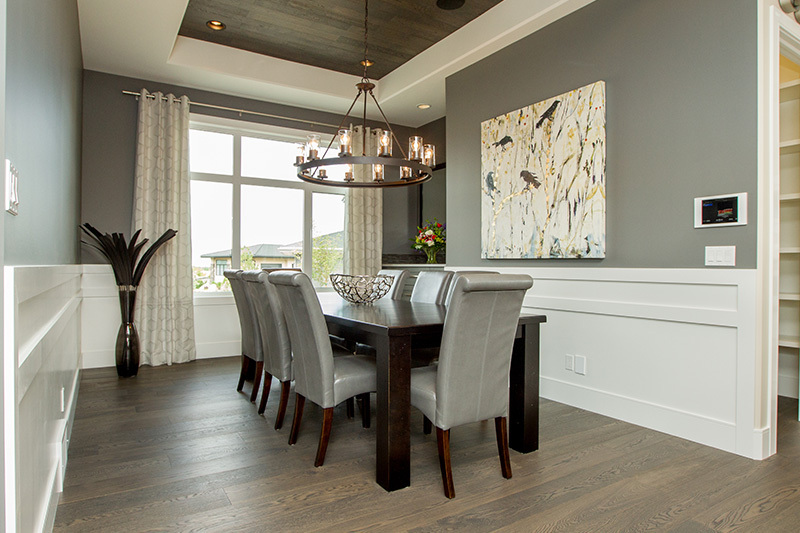 Canterbury Homes Inc. builds luxury custom homes in affluent communities in Edmonton, Sherwood Park, and surrounding areas. Our bespoke homes are as unique as our clients; however, there are many common elements, such as the type, number, and size of each space. If you are building a custom luxury home, this will assist you with the layout process. Function needs to be the first objective, the size will follow the function requirements. If the space needs to be large, then we will accommodate that; however, sometimes it’s a matter of planning for traffic flow, amount of occupants, and furniture layout to find the best use of space. Typically, the largest rooms will be the areas where you spend the most time. 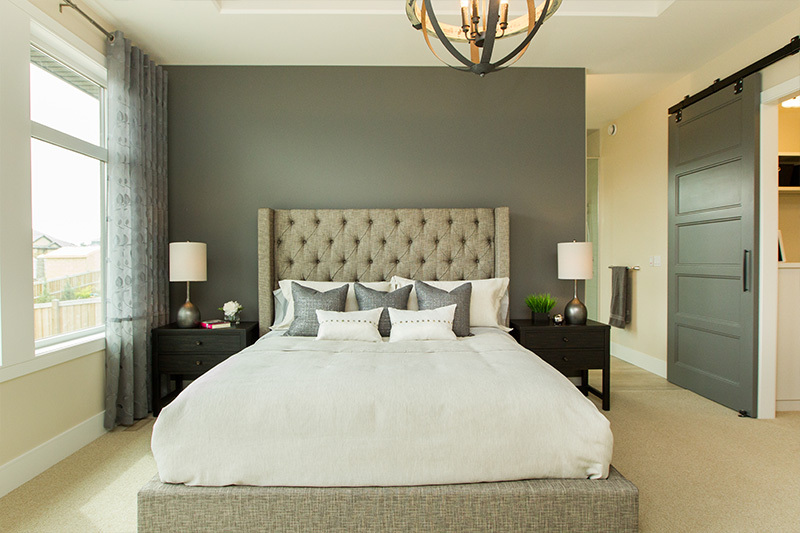 Kitchens, great rooms, and master suites (the principal bedroom). For many of our clients, this also includes the garage. Have you thought about the rooms you need? Does your master plan include storage or special extras? Since each homeowner is unique, none of Canterbury Homes Inc.’s homes are exactly the same; however, here is a sample breakdown of the rooms that we recommend you plan for. 1 Master Suite: Often called the Principal or Primary Bedroom. This will be larger than other bedrooms and include a walk-in closet and ensuite full bath. A quick trick to ensure you have enough closet space is to measure all of your existing clothing, even those stored in other closets. Use that linear footage to create the closet of your dreams. Maybe even a built-in dresser or island to store your non-hanging items. 3-6 Bedrooms: We have never built a home with two or fewer bedrooms, three has been the minimum – you need to consider resale. If you choose to develop the basement, you can increase the bedroom quantity. 2 or more Full Bathrooms: Clients ask us for a minimum of two full bathrooms; although we usually do three or more. The number of bathrooms will depend on the layout, if each bedroom requires its own private bathroom, and whether the basement is developed. 1 Powder Room: Powder rooms are also referred to as “half-baths.” Homeowners usually want at least one, which will service visiting guests. 1 Furnace/Utility Room: Although it is more expensive, we ensure ALL the services are located in one room. The cost increase is due to the expense of running longer service lines the extra distance to locate them in the same room. We also like to ensure the utility room has plenty of visible storage, with open shelving (for example) to make the space uncluttered and organized. 1 Eating Area or Dining Room: Most people prefer larger eating areas as part of their Great Room, rather than separate formal dining rooms. Although, those clients with family heirlooms and prized possessions enjoy a dining room to display their wares. Great Room and Family Room Instead of formal living rooms, our clients’ choose to have a Great Room and perhaps a casual Family Room/Recreation Room in the basement. Great rooms with open floor plans make the space appear larger and allow for ease of movement from one space to another. 1 Office: Whether it is for work, homework, or paying home bills, a home office is almost always on our clients’ lists of needs and wants. 1 Mudroom: The mudroom needs to allow for a lot of traffic and storage. Both the products selected (such as flooring) and the function of the space (a layout that ensures a smooth transition from garage to rear entry and amount of storage) need to be considered. Laundry Room: Generally, in a two-storey, the laundry room is located upstairs. For a bungalow the laundry room is on the main floor. However, doing laundry has evolved; it is not unusual to have two washer/dryer sets located in two locations. Many years ago, laundry was always done in the basement. In today’s market, most of our clients prefer to have laundry facilities close to the bedrooms for convenience. Some clients have installed stackable laundry appliances in the master walk-in closet and a second laundry room for the rest of the family members. You may have noticed that the above list of rooms did not include storage. This is because storage is often forgotten. There is rarely enough thought given to storage and transition areas (such as mudroom or halls). 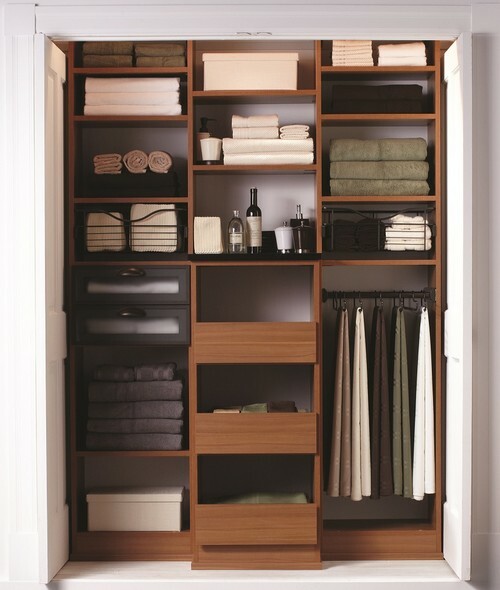 Most clients appreciate storage available in or beside most rooms. An example of this is having a linen closet close to the bedrooms and bathrooms. It will serve as convenient storage for linens and bedding. Showhomes are notorious for leaving very little storage space, the focus is on living space. When planning your layout, think about all your storage requirements. I usually tell clients to add more storage than they need right now, as time goes on we tend to accumulate as our families grow. Where does one store their Christmas tree, seasonal clothing, sports equipment, etc.? If the layout allows, we encourage winter and summer closets. Our seasons don’t allow most of us to wear the same clothes all year long. By having two seasonal closets, it allows the homeowner to see just what they need for the upcoming season. Walls can help separate areas and create clear pathways from room to room. Unfortunately they may take up valuable space. Instead of walls, use the ceiling (the 5th wall) to offer the illusion of space and differentiate one space from another. Add treatments, such as hardwood, a change in paint colour, wallpaper, moulding, etc., for added visual interest as well. After a home is complete, we encourage the homeowner to wait a year before doing landscaping. This allows the ground to “settle” and drop around the perimeter of the foundation wall. For the outdoors, patios and deck areas are high on our clients’ lists. We have constructed decks made of stamped concrete, Sierra stone, or concrete tile slabs. If possible, we also like to extend the roof to provide a covered deck area that can be screened in. The screens can be stationary or motorized. Gas fireplaces and outdoor seating areas, like pergolas, are also popular additions. 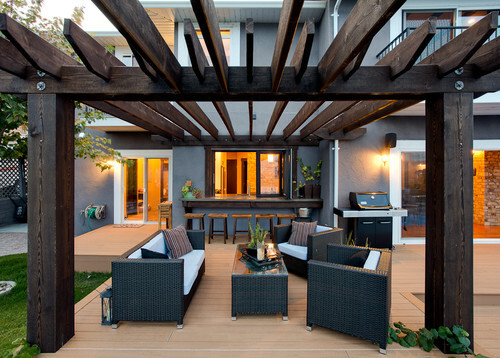 Pergolas are another way to add a focal point and provide a shady lounging area. How Much Square Footage DO You Need? Planning for all the different rooms you require will give you a very good idea of how much square footage you need. The key is to create a layout that flows well, includes all the items on your needs and wants list, and–most importantly–is highly functional and convenient. How do you get that ideal layout? Start with the layout exercise in “Layout – Custom Home Build: What Do I Need to Know? (Part 3)”.